Located just off the North Carolina coast, Bald Head Island is one of the South’s premier beach destinations. Known for its natural beauty, architectural quality and idyllic way of life, the island offers a sense of place unlike any other. 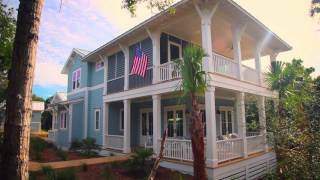 Now, Bald Head Island’s premier neighborhood of Cape Fear Station, a Southern Living Inspired Community is emerging. Phase one of the neighborhood recently kicked off with a one-of-a-kind Southern Living Inspired Home, opening for tours in October 2015. Learn more at http://www.bhirealestate.com/inspiredcommunity. The 12 homes within the Inspired Community at Cape Fear Station capture the best of Southern architecture, with gracious porches, abundant windows, high ceilings and sleeping porches. Thoughtful exterior details, including exposed rafter tails, tongue-and-groove porch ceilings and outdoor showers, lend a decidedly coastal twist. The community’s highly regarded lead builder is Whitney Blair Custom Homes, recent winner of the Southern Living Builder of the Year award. Homeowners in the Inspired Community enjoy a prime location across the street from The Common, a village green that regularly hosts community gatherings, concerts and picnics. The oceanfront Shoals Club and numerous beach accesses are a quick walk or bike ride away, so spending the day at the shore is a breeze. 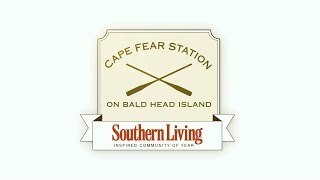 An extraordinary opportunity, the Southern Living Inspired Community at Cape Fear Station is your chance to own a masterfully designed new home in a picture perfect setting on Bald Head Island. Located just off the North Carolina coast, Bald Head Island is one of the South’s premier beach destinations, known for its natural beauty, stunning homes and idyllic way of life. Coming soon - what we love about Bald Head Island, North Carolina!